For almost 20 years, I’ve been putting food on my kids’ table. It’s been up to me to ensure balanced nutrition. Portion control is MY job. For the past year, my child has enjoyed a particular serving. Something they have taken tremendous delight in–and we have rejoiced in their delight. We’ve all come to count on it as daily bread. Until it is taken away. As “chief cook and bottle washer,” this is unacceptable to me. I want to get it back for them. I want justice served. At the very least, I want to take away my child’s bitter cup. The empty plate is almost unbearable. Then I recall Who is REALLY in charge of portion control. The One who cares even more about nutrition than I do. Could it be God is clearing the way for something my child needs even more? That I need more of, too? 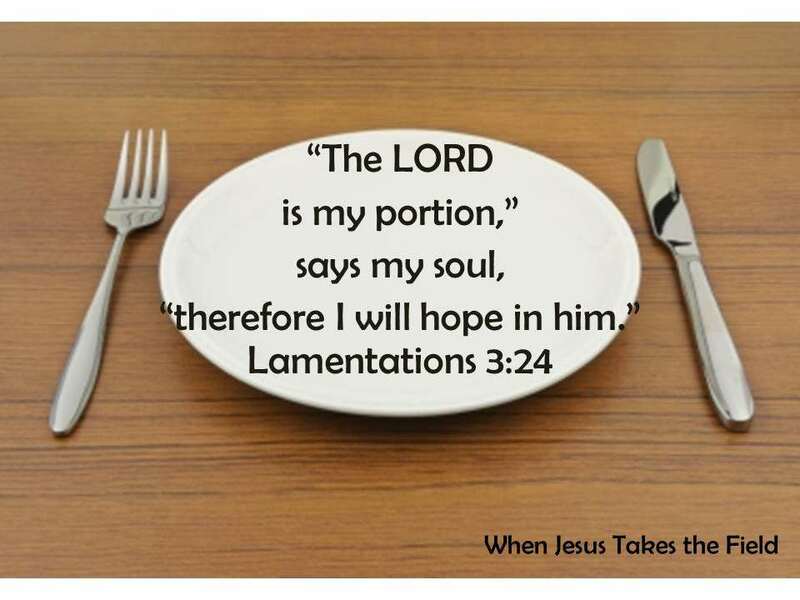 What do you have on your plate today?